The Florida Keys conjure up visions of an island paradise with swaying palm trees and dazzling sunsets, far removed from the strains and stresses of every day living. Here, you would be correct in assuming, is a jewel of a place set in just about the perfect location amidst the blue coral waters of the Straits of Florida sitting astride the Gulf of Mexico and Atlantic Ocean. The Keys are an archipelago of islands snaking south westwards from the main Florida peninsula and stretching out over one hundred and twenty miles into the ocean. From Key Largo, some thirty or so miles from the bright lights of Miami, to its final destination in the city of Key West, US-1 is arguably one of the most scenic and breathtaking highways anywhere in the world. Although Key West, with its Hemingway connection, is by far the most well known and popular destination we wanted to sample the delights of the lesser known islands on our journey to the most southernmost tip of the United States. 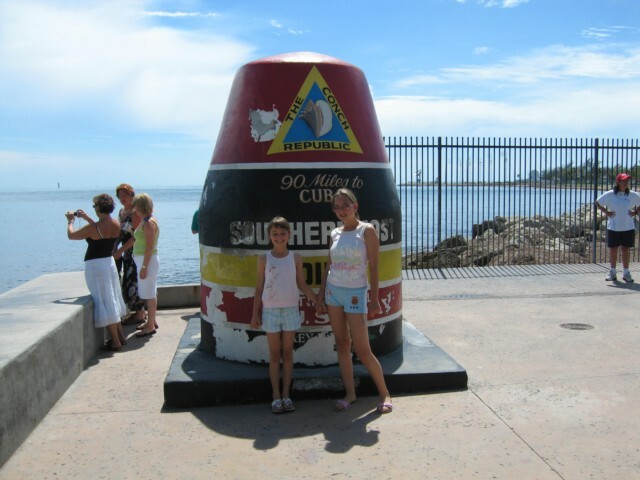 Our starting point was in Key Largo, which is a holiday destination in itself, and is the largest of all the islands. It is a typical coastal resort area with some fine seafood restaurants. Here the visitor can enjoy an assortment of water sports, including parasailing and jet-skiiing or simply unwind with a stroll through the botanic gardens. Within a few miles the beauty of this scenic highway begins top unfold as the connection with land quickly disappears leaving just crystal clear ocean in all directions and the odd dolphin for company. The small group of islands known a Islamorada was our next stop which caters mainly for fishing and snorkelling, with numerous outfitters on hand for equipment hire. We also found out that the main village was a popular destination for newlyweds keen on a laid back tropical honeymoon. Marathon marks the midway point and is about ten miles in length. As well as the usual water sport activities the Key boasts Sombrero Reef which is the only living coral barrier reef in North America. 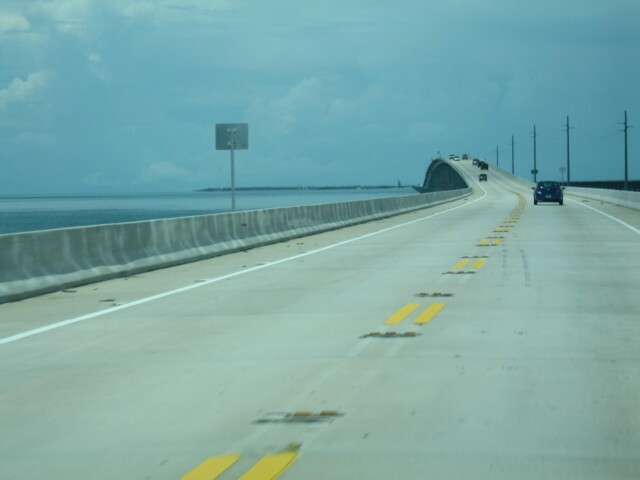 Just thirty miles form the end of the highway and not far beyond the wondrous seven-mile bridge lie the Lower Keys. This group of islands seem far less commercial than their counterparts and provide cosy accommodation and home-made cooking. The small resort areas are geared more towards the great outdoors with plenty of campgrounds and RV parks available providing ideal starting points for the numerous biking and hiking trails. And so to Key West, the jewel in the crown, with its history, fine buildings and famous sunsets. Our drive along US-1 had come to an abrupt end but had given us immense pleasure and comes highly recommended. Remember also, that anything you may have missed on the way down can be included on the return journey. Viewed 3198 times since 29 September 2010. Christmas at the Ford Edison Winter Estate, Fort Myers. CRUISING – SHORE EXCURSIONS - Organized Tour or Hiring a Car?